Do you need pest control exterminator services in Spartanburg, SC? Walker Pest Management is a proud member of the Spartanburg Chamber of Commerce. No one likes pests in their home. Aside from pests causing awkward or embarrassing situations, they can also cause minor to even serious health issues. The Mayo Clinic lists cockroach waste as one of the leading triggers of Asthma. Many pests can cause damage to your home or property. 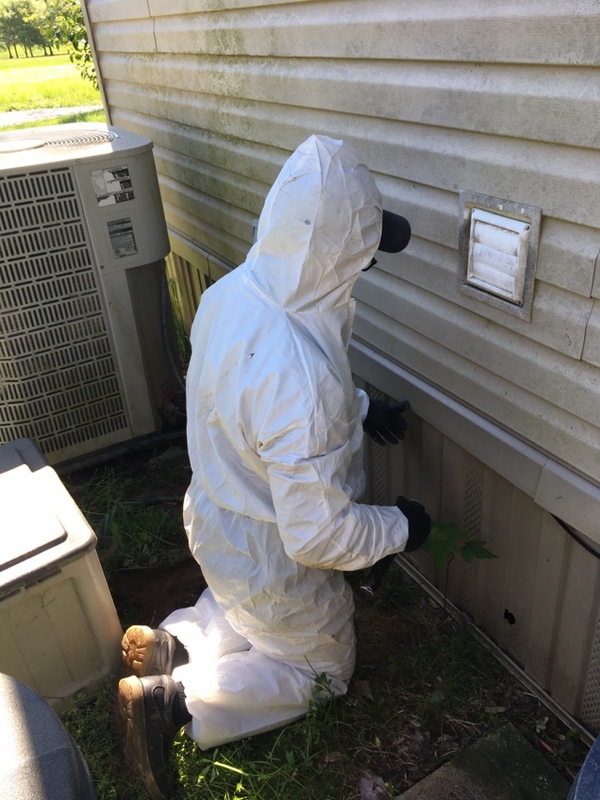 Termites, fire ants, carpenter bees and other property destroying pests cause millions of dollars in damages, annually, for South Carolina homeowners. Walker Pest Management has been servicing upstate South Carolina since 2001. With over 50 years combined experience our highly trained and certified technicians have the knowledge, techniques, and tools to keep your home pest free. All technicians go through background as well as driving record checks. You can be sure your home and family are safe when you hire Walker Pest Management. We take pride in our jobs and our company. You can expect excellent customer service starting with office staff all the way to the technicians who come to your door. Our record of excellent customer service can be seen in the 4.9/5 Star Aggregate Rating we carry online with Over 400 Reviews from multiple sites. Check out reviews from your neighbors at the bottom of this page. We offer affordable plans for any pest problem. For a great deal on multiple home services, check out our new Pest Control Packages at the link below. Call today for more information. Walker Pest Management services all cities / zips in Spartanburg County SC. South Carolina residents shouldn't have to fear for their lives when they are enjoying the outdoors at home. Let the kids and pets play outside without having to worry about bites from these angry pests. Residential Pest Control packages to cover your home & even your lawn from all types of pests. Drew is always on time, extremely polite and very knowledgeable. Very professional, friendly and informative on yellow jacket behavior. Very interesting! I love the fact that they offer a 30 day guarantee in case the bees returned or moved their hive nearby. I will use them again! Thanks, Drew for your great, friendly service! Our service technician came out today and addressed all our issues with pests in a timely and kind manner. Very helpful and thorough. Outstanding service and excellent price! Trisden is very knowledgeable with regards of how to look and search for trouble spots and doing something about them in order to prevent further problems. Walker Pest has been doing our pest control for many years. They are awesome! Trisden is wonderful to work with! Always appreciate the professional service from Walker Pest Management!